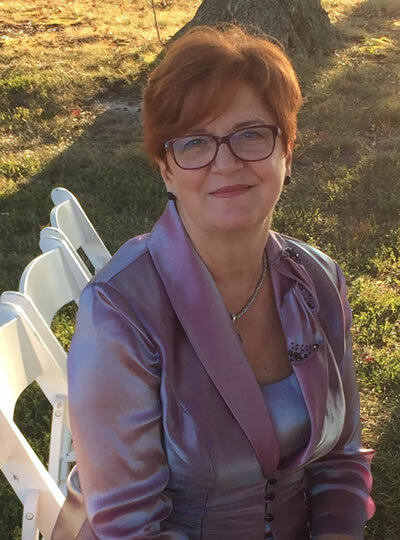 Mirzeta Hadzikadic is an accomplished operational risk, compliance, and technology professional with 27 years of experience, including her work with the City of Charlotte, Bank of America, and currently Wells Fargo. Throughout her career, Ms. Hadzikadic has held many different roles from Systems Analyst, Senior Technology Delivery manager, Operational Risk manager, Senior Compliance manager, and Senior Operational Risk Consultant. She held titles of Assistant Vice President, Vice President, and Senior Vice President. Areas of her extensive expertise include operational risk management, global delivery, technology delivery, change, and project management. Early in her career, Mirzeta developed software products in electronics industry in her native Bosnia and Herzegovina. Ms. Hadzikadic served as the president of Advisory Council for Bosnia and Herzegovina (ACBH) from 2013 – 2017 and was the founding president and is currently an honorary board member of the Bosnian-Herzegovinian American Cultural Center (BHACC). She is a member of the Information Systems Audit and Control Association – Charlotte chapter, the professional organization that engages in the development, adoption, and use of globally accepted, industry-leading knowledge and practices for information systems. She holds the Certified in Risk and Information Systems Controls certificate and Capability Maturity Model Level 2 certificate. Ms. Hadzikadic received a Global Technology and Operations Diversity & Inclusion Award, Decision Systems Support Leadership Award, Staff Technology & Services Goal Achievement award, and Premier Vision Recognition award. Ms. Hadzikadic holds Master of Science (MS) in Computer Science from the University of North Carolina at Charlotte, with concentration in databases, knowledge-based systems, expert systems, and artificial intelligence, and Bachelor of Science (BS) in Computer Science from the University of Banja Luka, Bosnia and Herzegovina.